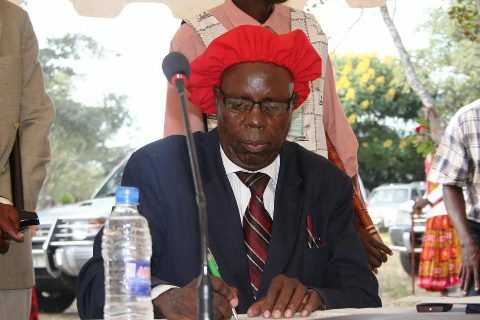 President Michael Sata has ordered the arrest of former Ngambela of Barotseland Clement W. Sinyinda for having incited the people of Barotseland to agitate for “secession” of the Western Province from Zambia while he served as Ngambela, according to Barotsepost. However, other reports have indicated that this order may have been made at the demand of the Litunga Lubosi Imwiko II. Confirming the reports a source very close to Mr. Sinyinda and in Limulunga said they were actually just waiting for the Zambia Police to come and effect the arrest. According to the insider, this was one of the hallmark of the Litunga Lubosi’s closed door meeting with Mr. Sata earlier in the day. During the 27th March Barotse National Council of 2012, presided over by the then Ngambela Hon. Clement Wainyae Sinyinda, the people of Barotseland unanimously accepted the nullification of the Barotseland Agreement of 1964 by Zambia, and consequently resolved that Barotseland was to immediately initiate all formal and necessary procedures and acts for the re-establishment of Barotseland Sovereignty and Independence – A de facto break away from its current underlying status within the Republic of Zambia. The BNC is the highest decision making body in Barotse Governance System, and decisions passed by this organ cannot be reversed by any other organ or individual except by another BNC. Recent reports, however, have alleged that the Litunga of Barotseland, Litunga Lubosi Imwiko II, has been under extreme pressure from Mr. Sata and his Lusaka government for Him to use His powers to reverse that BNC resolution of the people, amidst accusation of having received bribe, from Mr. Sata’s government, amounting to KR 42 million – Zambian Rebased Kwacha equivalent to about USD 8 million. Hon. Sinyinda resigned as Ngambela of Barotseland in November 2012 citing among other things the Litunga Lubosi Imwiko II ‘s lack of support and protection of his (Ngambela’s ) position. There has not been any replacement of a Ngambela since then with some Lozi traditionalists insisting that Sinyinda is still Ngambela as he has never given up his Royal Staff of Authority as Ngambela.